The old Victorian pier was once a thing of beauty. It's also where twenty-one-year-old Sophie Collier vanished eighteen years ago. 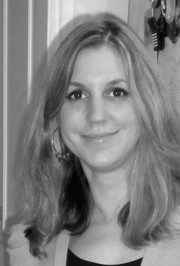 Francesca has spent the last twenty years haunted by the disappearance of her best friend. But when she receives a phone call from Sophie's brother saying that a body has been found, she knows she can't keep hiding from what happened. With her own secrets to keep, Francesca doesn't relish the idea of digging up the past or returning to Oldcliffe. But it is time to go back to where she grew up, and it looks like she isn't the only one there hiding truths. 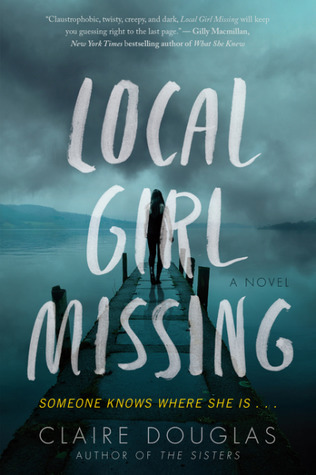 Local Girl Missing by Claire Douglas is a 2017 Harper publication. Sophie and Frankie were best friends during their teenage years, until romantic entanglements came between them, but they eventually reconciled, and were trying to resume their friendship, but, one night, Sophie disappeared from the old Victorian, 'Oldcliffe-on-the-Sea', pier. Her body was never recovered…. Until now. When Frankie gets the call from Sophie’s brother, Daniel, that his sister's remains have been found, he asks Frankie to come home and help him find out what happened to her all those years ago. But, once Frankie arrives, settling into the often frigid apartment overlooking the same pier from which Sophie vanished, she begins to imagine she sees Sophie’s ghost. As she and Daniel begin to dig into the past, Frankie finds herself the recipient of chilling notes, often pushed under her apartment door, taunting and threatening her. Old friends and enemies all contribute a piece of the puzzle, and as revelations mount, motives become highly suspect. I never knew who to believe or trust in this novel. The story shifts gear several times before the conclusion. That and the dual time line kept me off guard, so that I was never able to find a balance. I have waited nearly a week to write this review, because I’m still trying to formulate my thoughts on this book. On one hand the atmosphere is very creepy, with a possible supernatural element, and the uneasiness settled in for the duration, increasing as the story developed. On the other hand, I had a hard time with the final twist, finding it a little far fetched, even though I did appreciate the irony of the situation. The only other downside was just a coincidence. I’d just finished reading a book with a similar set up, so I considered putting this one aside for a while because of that, but then the story veered away from that theme and took on a whole new set of connotations, so I decided to stick with it. Although there were a few small blips, at the end of the day, the book provided a few good chills, was cleverly paced, with plenty of atmosphere and twists, and a surprise ending. So, after thinking it over, and waffling back and forth, a little, I think this one deserves four stars.